I have just been browsing through some of my older photographs and came across this one of Tanah Lot – a Balinese temple carved out of a natural rock formation in the ocean. 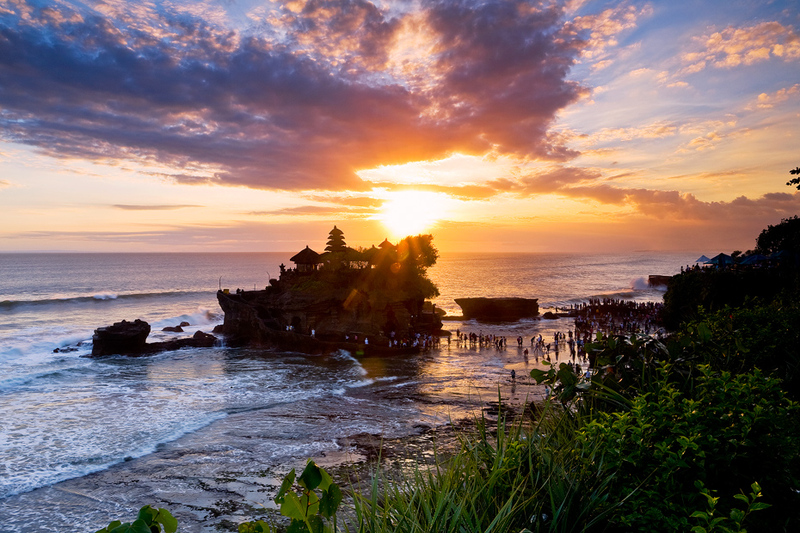 In the Balinese language “Tanah Lot” means Land [in the] Sea. A very fitting name. It is a beautiful place in the world, besides the hundreds of other tourists and the heavily commercialized and tourist orientated entrance to the area, and I’d love to get back there next time I’m in Bali to shoot some more photographs and enjoy a fantastic sunset once again. I’ve been making some changes around the site, so please excuse the mess while I finish up.